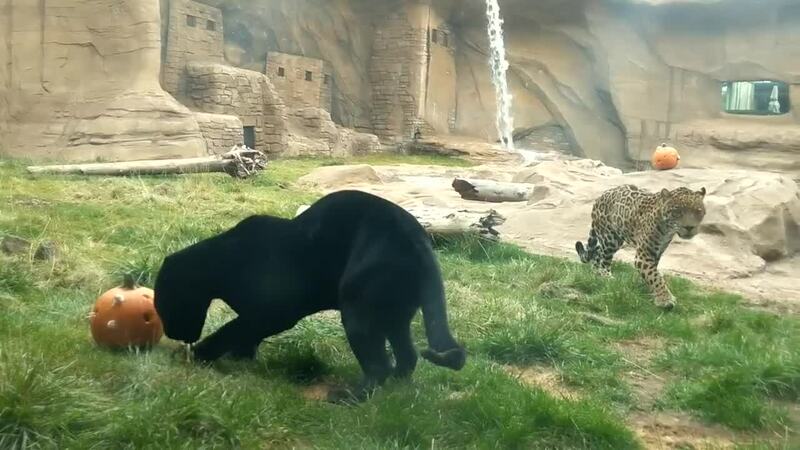 Bearizona adopted two bother jaguars from a preserve in California. Welcome Nacho and Libre! Video courtesy Bearizona. Bearizona has adopted two jaguars from a preserve in California. The two jaguars are named Nacho and Libre, and are brothers. Nacho has black fur and Libre is golden with rose-shaped spots. Both were born at a wild cat preserve in California, Bearizona said in a news release. The big cats will turn four years old on Nov. 3. 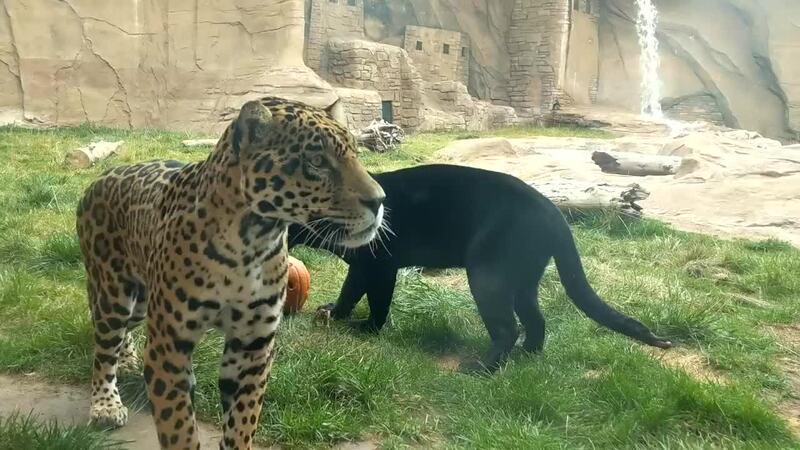 "These two jaguar brothers are a great addition to Bearizona, and we are so happy to be able to provide them with the space, environment and enrichment they need to thrive," said Sean Casey, owner of Bearizona, in a written statement. The announcement coincides with National Cat Day, which is Oct. 29. The wildlife park will donate 10-percent of its proceeds to the Exotic Feline Breeding Compound's Feline Conservation Center. They will live in an 11,000-square-foot enclosure that includes a 30-foot waterfall, said Casey. Bearizona is located in Williams, Arizona, roughly 30 miles west of Flagstaff. It is a walk-through and drive-thru wildlife park.